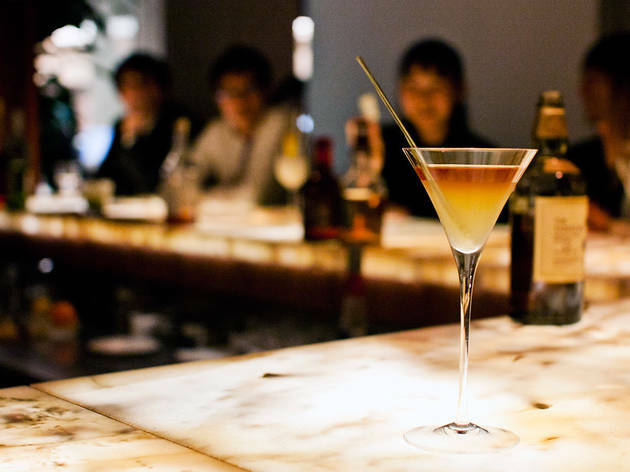 Tokyo has other, more famous hotel bars, but few of them have a bartender to rival Takayuki Suzuki, the suave cocktail conjurer who holds court most evenings at the 25th floor The Society (formerly known as Bar a Vins Tateru Yoshino). 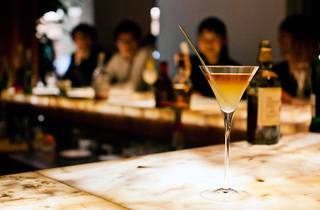 The Park Hotel Tokyo's main drinking den is an understated affair, where regulars huddle around a U-shaped bar counter topped with glowing marble. Suzuki and his staff draw on a menu of 100-odd cocktails, though many drinkers prefer simply to ask for a recommendation (Suzuki takes such pride in his ability to pick the right tipple for each customer, he's even written a book on the subject, The Perfect Martini). Head to the adjacent Bar High Society, meanwhile, and you'll find yourself in the first official Japan outpost of the Scotch Malt Whisky Society, where over 100 of the society's single cask bottlings are available at discount prices to SMWS members.